By Trudel OFM., Pere Paul-Eugene. Montreal, Quebec. 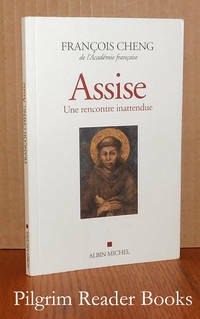 : Editions Franciscaines.. Very Good with no dust jacket. 1954. Hardcover. 12mo - 19.5 x 13 cm. ; xv - 327 pp. The text is in French. 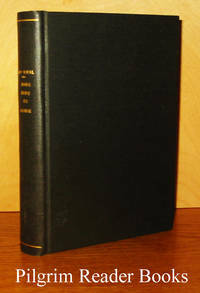 Rebound in a black cloth over boards with gilt lettering on the spine. The original covers from the soft cover edition have not been included in the rebinding process. llustrated with 14 black and white plates. The library markings, none of which are external, are a pocket on the back paste down end paper and an accession number inked on the title page. Otherwise the book is very clean with a tight and solid binding. 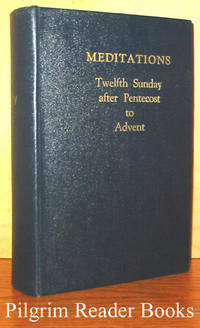 A clear and removable archival cover has been fitted. .
By Cronin OFM., Kevin M. (editor). New York. : Continuum.. Fine in Fine dust jacket. 1997. Hard Cover. 0826408680 . 12mo - 19.5 x 11.5 cm. ; 151 - (9) pp. Brown cloth over boards with gilt lettering on the spine. From the Franciscan Friars of the Province of the Most Holy Name of Jesus comes a collection of small stories of special moments in their everyday lives. Funny, serious, poignant, and inspirational. An as-new and unused book. .
Cincinnati, Ohio. 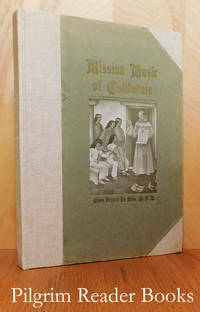 : St. Francis Book Shop.. Good in Fair dust jacket. 1954. Hardcover. 8vo - 20.5 x 13.5 cm. ; vi - 341 pp. Kelly green cloth over boards with red lettering on the spine and the front board. 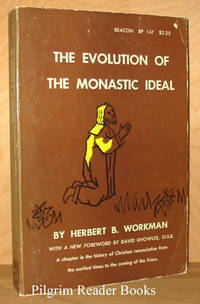 First published in 1949, this is the third printing. From the dust jacket flap: "Good Morning Good People . 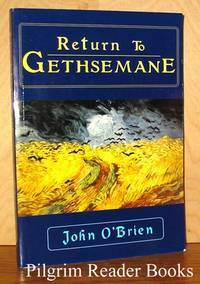 . . indicates the dominant mood of this new book of reflections on the spiritual life; they are thoroughly Franciscan in spirit, and thoroughly positive in presentation." The library markings are attachments and stamps on the end papers and attachment remains and scars where some were removed on the paste down end papers, otherwise the book appears to have been used very little if at all as the date due card is blank. 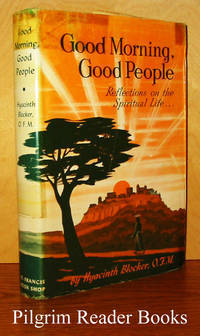 A perspective on spirituality in the immediate post war period. ; Ex-Library . Farnborough, UK. : Gregg International.. Near Fine with no dust jacket. 1969. Hardcover. 12mo - 18.5 x 13.5 cm. ; ix - (3) - 198 pp. 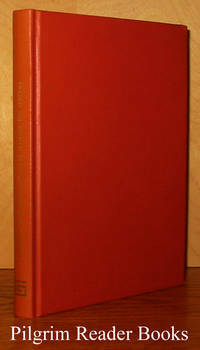 First published by Manchester University Press in 1910, this is the second impression of the Gregg re-issue of 1966. The title page actually lists the original 1910 publsher as "Aberdoniae: Typis Academicis". The major part of the text is in Latin with the exception of the preface, the bibliography, and an 8 page introductory selection edited by A. G. Little. Red / orange cloth over boards with gilt lettering on the spine. 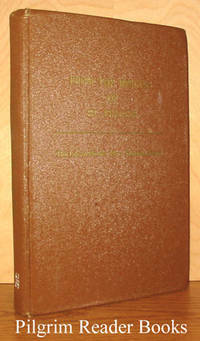 Contents: 1 - "Bibliography of John Pecham's Writings" by C. L. Kingsford and A. G. Little, 2 - "Selections from Pecham's Tractatus Pauperis or De Perfectione Evangelica" edited by A. G. Little, 3 - "Tractatus contra Fratrem Robertum Kilwardby OP" edited by Professor F. Tocco, 4 - "Defensio Fratrum Mendicantium" edited by C. L. Kingsford. Previous owner's name on the front free end paper and the externals show very mild bumps on the fore corners of the boards, otherwise 'tis fine. .
Detroit, Michigan. : Province of St. Joseph of the Capuchin Order.. Very Good. 1951. Hardcover. 12mo - 19 x 12.5 cm. ; 480 -  pp. Dark blue cloth with gilt lettering on front board and a gilt volume number on the spine. Translated from the German by Fr. Berchmans Bittle, OFM.Cap. Each meditation is structured with a short summary, a comment on a virtue, applications and considerations ending with a prayer. An index at the back is day by day on a weekly basis with the virtue or inner disposition listed with the daily meditation. The book shows mild shelf wear to the boards while the interior is clean and the binding is solid. .
Quebec City, Quebec. : Imprimerie Franciscaine Missionaire.. Very Good. 1958. Softcover. 8vo - 22 x 14 cm. ; xiii - 563 -  pp. Off white covers with black and red lettering on spine and front. 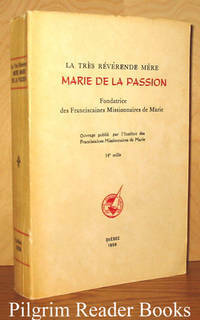 First published in 1913, this biography was authored by members of l'Institut des Franciscaines Missionaires de Marie and this re-issue in one volume carries approbations dated in 1956. Frontis photograph of Mere Marie. The spine is darkened as are the edge margins of the covers. Many pages are unopened on the head edges. .
Indiana: Poor Sisters of St. Francis Seraph of the Perpetual Adoration.. Good with no dust jacket. 1955. Hardcover. 8vo - 23 x 15 cm. ; xvi - 288 pp. Brown cloth with gilt lettering on spine and front board. Mother Mary was the foundress of the Poor Sisters of St. Francis Seraph of the Perpetual Adoration. 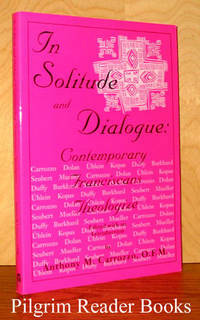 Translated by Sisters M. Fridian and M. Honora from the original German. Illustrated with twenty black and white photographs. Eight pages of sources and annotations plus a two page index of persons. Usual library markings with pocket remains on back paste down end paper, stamps on the front end papers and a white number on the lower spine. ; Ex-Library . St. Bonaventure, New York. : The Franciscan Institute. Near Fine. 2006. Softcover. 9781576591413 . 8vo - 23 x 15.5 cm. ; xi - 93 pp. 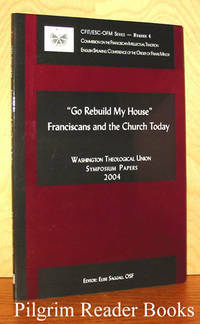 Contents: 1 - "Preface" by Ilia Delio, 2 - "Is Liturgy the Heart of the Church Today?" by Catherine Dooley, 3 - "Sacramentality and Franciscan Worship" by Judith Kubicki, 4 - "Franciscan Theology of the Eucharist: Does It Inform Our Lives?" by James Sabak, 5 - "Liturgy of the Hours and the Rhythm of Franciscan Life" by William Cieslak, 6 - "Franciscan Devotionalism and Postmodern Culture" by Daniel Grigassy. Two and one half pages of short author biographies at the back. .
St. Bonaventure, New York. : The Franciscan Institute. Near Fine. 2004. Softcover. 1576591948 . 8vo - 23 x 15.5 cm. ; ix - 98 pp. Contents: 1 - "Preface" by Ilia Delio, 2 - "Building Church in a Time of Uncertainty" by Doris Gottemoeller , 3 - "The Church and Its Charisms: A Franciscan Perspective" by John Burkhard, 4 - "Franciscan Reform of the Church" by C. Colt Anderson, 5 - "A Church Evangelical, Catholic and Reformed" by Vincent Cushing, 6 - "Forming Pastoral Ministers in a Fragmented Church" by Katarina Schuth. Two pages of short author biographies at the back. .
St. Bonaventure, New York. : The Franciscan Institute. Near Fine. 2000. Softcover. 1576591670 . 8vo - 23 x 15.5 cm. ; 195 pp. (Theology Series #14). Contents: 1 - "Introduction" by Anthony Carrozzo, 2 - "Words of Hope in Troubled Times: Francis of Assisi in the Presence of the Mystery of the Trinity" by Gerald M. Dolan, 3 - "Creation: A Franciscan Conversion Conversation" by Gabriele Uhlein, 4 - "Mortal Diamond: The Body in Theological Anthropology" by Jane Kopas, 5 - "Hold Back Nothing of Yourselves: Contexts for a Franciscan Theology of the Eucharist" by Regis A. Duffy, 6 - "Being a Person in the Church: Contemporary Ecclesiology and the Franciscan Theological Tradition" by John J. Burkhard, 7 - "The Cross and Death of Jesus: A Franciscan Interpretation" by Xavier John Seubert, 8 - "Models of Evangelical Poverty: Eschatological Implications" by Joan Mueller. .
London, UK. : Pen Press Publishers. Near Fine. 2000. Hardcover. 1900796880 . 8vo - 21 x 14.5 cm. ; (8) - 153 pp. Fr. O'Brien is a Franciscan resident in Athlone Ireland and writes of the healing that Jesus offers that does not depend on our being perfect all the time. Warmly inscribed by the author to "Emily" on the half title page. The covers show some mild edge wear. ; Signed by Author . By Silva OFM., Rev. Owen da. Los Angeles, California: Warren F. Lewis, Publisher. Very Good with no dust jacket. 1941. Limited/Numbered/Signed. Hardcover. Folio - 32 x 23.5 cm. ;  - xv -  - 132 -  pp. Rev. Owen da Silva transcribed and edited the music with the accompaniments and chirography by Arthur M. Bienbar. Mission sketches are by Paul A. Moore and the introduction is by the Hon. John Steven McGroarty. Besides the vignette-type illustrations by Moore, there are 11 plate reproductions. Contents briefly are: 'Misa de Cataluna' (4 male voices), Misa Viscaina (2 equal voices), Credo Parisiense (2 equal voices), 4 Gregorian Chants, 6 Motets, 2 Hymns (morning and evening) plus notes, sources, bibliography and an index. Professionally rebound retaining the original front paper with the gold lettering and paste-on paper illustration. Front board is half bound with corners and spine being a coarse beige linen whilst the back board is fully cloth covered with same. 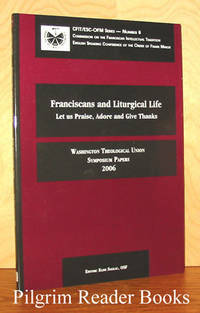 Warmly signed and inscribed by Fr. Owen on the half-title page to a John L. Keene. Signed again by Fr. da Silva on the title page. Approbations (both Franciscan and Diocesan) are present. This is #278 of the Patrons Limited Edition of 1000 copies of which 975 were originally for sale. Slight staining/spotting to the text block edges. Light brownish dampstain present on the lower gutter margins with no physical damage to the paper other than the discoloration and text is not affected. One instance of foxing on the limitation page and its facing page. Bookbinder's label affixed to back paste down. All-in-all, a quite handsome copy of this important collection. ; Signed by Author . By O Conaire, Gearoid Francisco. OFM (compiled by). Rome, Italy. : Curia Generalizia OFM. Near Fine. 2001. Softcover. 8vo - 24 x 17 cm. ; 279 pp. Yellow and blue wraps. Contains the proceedings plus reflections and a photographic essay in 12 parts and taken from the International Justice, Peace and Integrity of Creation (JIPC) Conference held in Vossenack, Germany in 2000. The conference was held under the presidency of Peter Schorr and coordinated by Gearóid Francisco Ó Conaire who also compiled this volume. .
Boston, Massachussets. : Beacon Press.. Good. 1962. Softcover. 8vo - 20.5 x 13.5 cm. ; xxi - 368 pp. Both covers and text edges show soiling and minor wear. 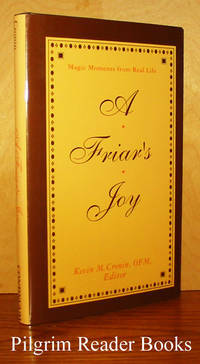 First published in 1913 by Epworth Press of London, this book has become an important one in monastic studies. Foreword by David Knowles along with Workman's preface from 1927. Workman himself was a Methodist minister with doctorates in Literature and Divinity. He writes with the eyes and sensitivity of a historian with perhaps too much emphasis on the radicalness of the monastic calling which can lead to a glossing over of the wisdom and faithfulness inherent in such an obedient and surrendered life. .
By Carraro OFMCap., Fr. Flavio Roberto. Mysore, India. 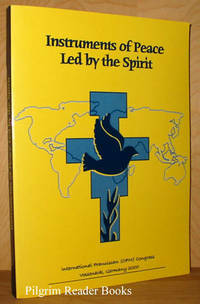 : Franciscan Institute Of Spirituality In India / Peace Publications. Good+. 1988. Soft Cover. 8vo - 21.5 x 14 cm. ; 67 pp. Yellow wraps with black lettering. Consists of 2 "circulars" written by Fr. 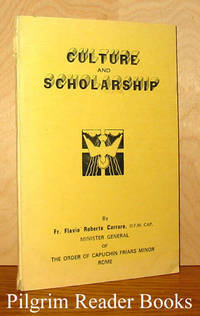 Carraro meant for distribution to Franciscan provinces looking at the state of modern Franciscan scholarship with some suggestions for future directions and strategies. "On the Need for Study and Learning" and the second one being "Reflections and Suggestions on Inculturation". The spine is worn and the paper (a rather cheap type) is browned on the margins. The shipping cost for this small item will be reduced after it is ordered. .
Maryknoll, New York. : Orbis Books.. Fine. 1998. Softcover. 1570751676 . 4to - 25.5 x 18 cm. ; xviii - 398 pp. Black and white photographs throughout. Volume 26 of the American Society of Missiology Series. 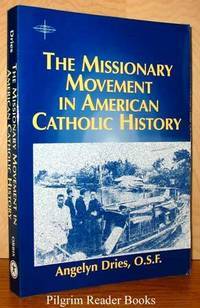 From the back cover: "It shows how the Church in the US not only sent thousands of men and women overseas but evangelized internally and incorporated millions of immigrants over the course of two centuries . . . . . thoroughly reasearched . . . ." An as-new and unused book. .